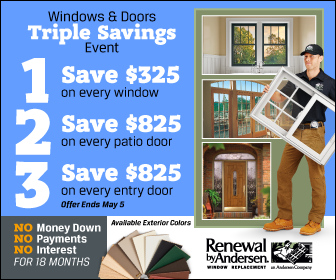 Renewal by Andersen is known around the country for their deep warranties on all windows and doors. Contact us today with any questions regarding our warranties. Renewal by Andersen also offers a 10-year warranty on other parts of the window or door, such as locks, lifts, balance systems, hinges, h andles, insect screens, weathering strips and finishes.